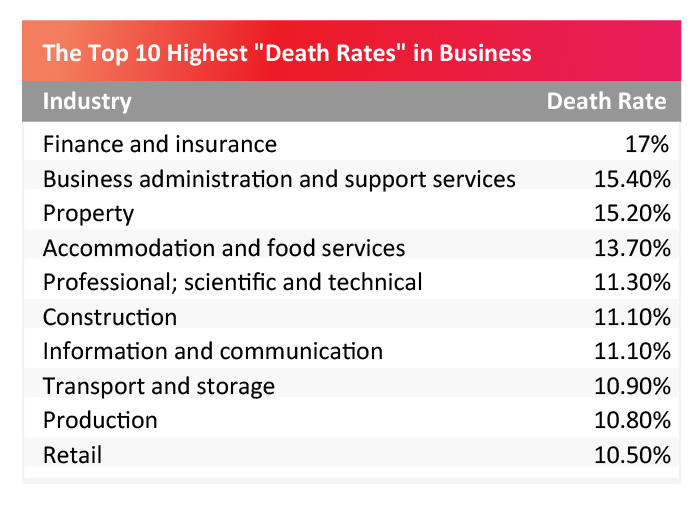 The top 10 industries that suffer the highest business ‘death rates’ have been revealed by Turnerlittle.com. 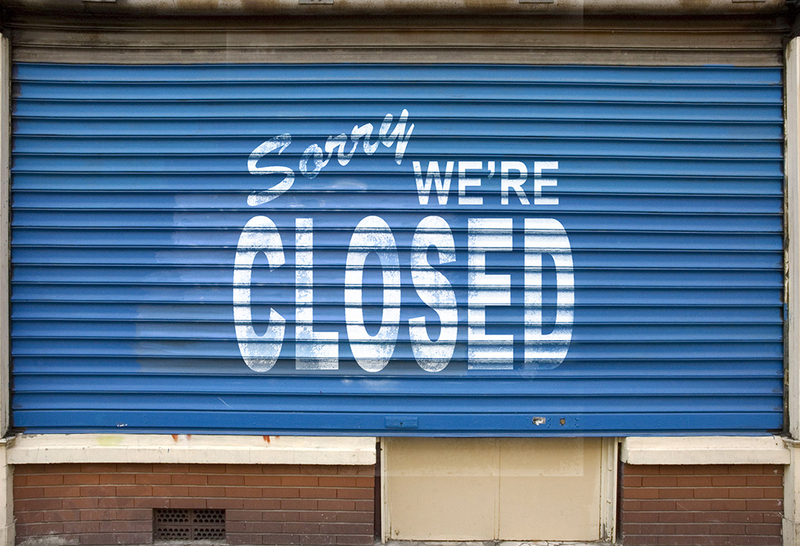 Death rate definition: Businesses that have ceased to trade are referred to as business deaths. The death rate is calculated using the number of deaths as a proportion of the active enterprises. It was found the number of UK business ‘deaths’ increased from 283,000 to 328,000 between 2015-16; a death rate of 11.6%. The highest rate, at 17% is seen in finance and insurance, compared with 13.3% in 2015. Followed by business administration and support, at 15.4% – compared with 10.1% in 2015. Turner created an infographic with the data, from the Business Demography release, published by ONS in November 2017. The UK five-year survival rate for business born in 2011 and still active in 2016 was 44.1%. By region, the highest five-year survival rate was seen in the South West, at 47%, while the lowest was in London, at 41.7%. Invest in people who believe in your company and instill a sense of confidence that they can help get your company across the finish line – and maintain it. Managing director of Turnerlittle.com, James Turner notes: “It is obviously, incredibly important to evaluate all types of risk when thinking about starting – or investing in – a business. Financial loss can be devastating.